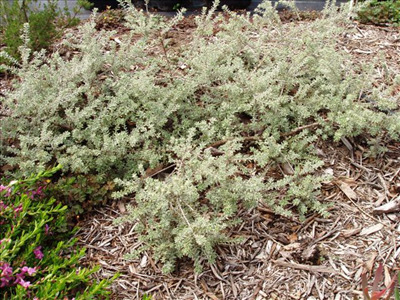 Rounded shrub 5'x5', stays compact with regular pruning, with silvery grey leaves and white flowers most of the year. Very hardy to most soils and situations. Great landscape shrub and is resistant to salt spray. Grows well inland or coastal and makes a great hedge.